The fact you give something to someone, or die leaving it to them, doesn’t mean they have to take it. Especially when it comes with strings. 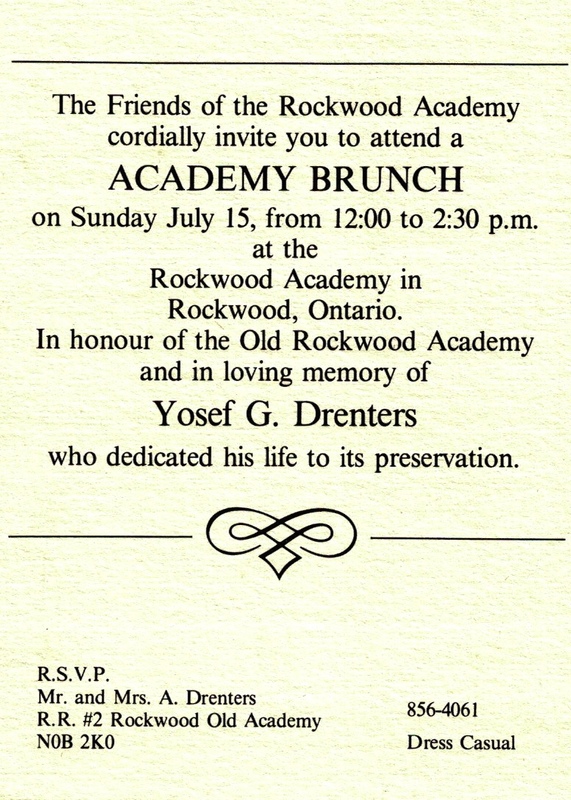 Josef Drenters willed the Rockwood Academy to the Ontario Heritage Foundation (now the Ontario Heritage Trust), but with a life interest for his brother Andy Drenters. That was one complicating factor in seeing Josef’s wishes fulfilled. But the Foundation had accepted property with life interests before — this was the case with the property known as Inge-Va, now a historic house museum in Perth (although in that case the donor was alive and retained the life interest rather than devising it to a third party). The real obstacle to the Foundation accepting the Academy was financial. Property ownership is of course a big responsibility, doubly so if you are a public body with a mandate to own, preserve and maintain heritage buildings. Since its creation in 1967 the OHF/OHT has learned from experience how demanding, in all respects, heritage properties can be and the risks of the (less discretionary) budget for capital work on its sites eating into and cramping the (more discretionary) budget for its other programs. 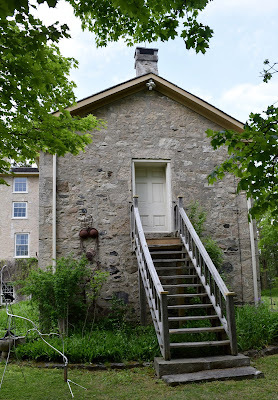 Over the years the Foundation became understandably wary of accepting heritage property from donors without an endowment or some dedicated funding source to help sustain the property long-term. It was soon apparent that the Foundation would not accept an indebted Academy. And so, in 1984, the Friends of the Rockwood Academy was born. I’m pretty sure we would not have reached our fundraising goals, at least in time — the Foundation’s Board was not going to wait forever. But out of the blue came… Agnes of God. A movie by Canadian director Norman Jewison, Agnes of God takes place in a Quebec convent where strange things are going on, including what may or may not be a miracle. But for the Friends it certainly seemed like a miracle that Jewison wanted to shoot the film at the Rockwood Academy, over a several month period, and of course pay for the privilege. The Academy, with its imposing stone edifice and monastic ambience, was perfect for the part. Some temporary alterations to the property were naturally required, to make it less "Anglo" and more "Franco", including the addition of faux dormers on the roof… and the construction of a mock bell tower at the rear! 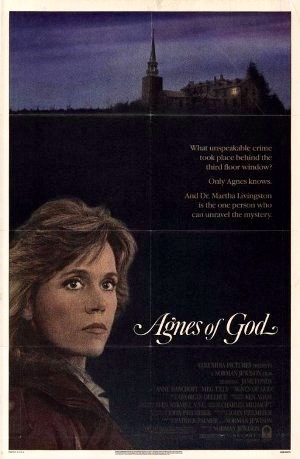 Starring Jane Fonda, Anne Bancroft and Meg Tilley (yes, they were all there in Rockwood), Agnes of God was released in 1985. Location fees combined with the funds raised by the Friends more than paid off the Academy’s mortgages. The way had been cleared for the Ontario Heritage Foundation to accept the property. Now for something completely different. About this time the simmering threat we looked at last time — the encroachment on the rural setting of the Academy by housing development — seemed suddenly to ignite. Distracted by Josef’s illness, death and the uncertain aftermath, the Friends and the Foundation had somehow failed to notice that the lands at the rear of the Academy, which had been zoned agricultural, had been acquired by a developer… and were now zoned residential… and a subdivision had been approved. Yikes! And here’s where the stop orders come in. Development of the subdivision called for extensive clearing and grading of the field immediately behind the Academy, including the levelling of a large hill. 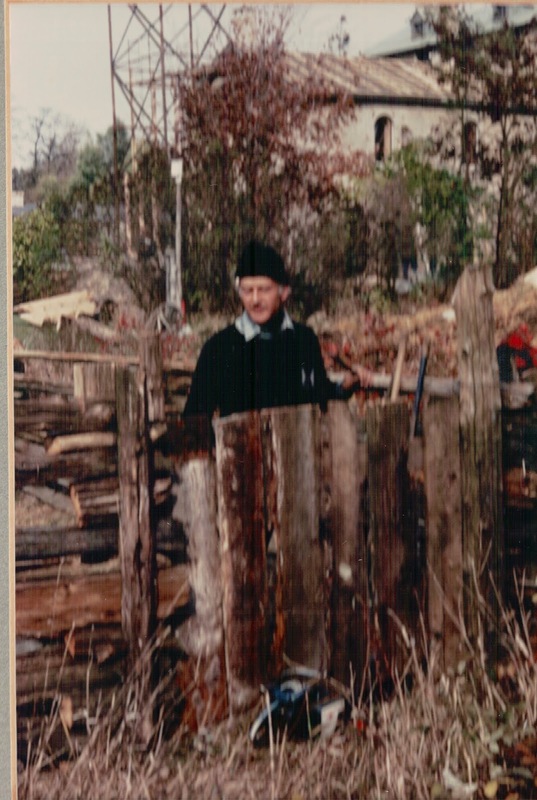 Frantic to secure a buffer zone including the hill, we turned to the Ontario Heritage Act. Okay, some of you are thinking that this stop order power was intended for archaeological sites, not artifact-free hills behind built heritage sites. And I’d agree. This is a good example of how legislation can sometimes be interpreted and used (read: stretched) in ways beyond those intended — and therefore why interpretation based on “what the drafters intended” is not definitive. But back to the story. One reason why the section 62 power had not been used (and has never been used since) has to so with subsection 62 (2). This requires payment of compensation for “personal or business damages resulting from the stop order.” The amount of the compensation is reached by agreement; failing that, by a proceeding under the Expropriations Act. In any case stop orders were obviously not a long-term solution to the buffer zone issue. The Ontario Heritage Foundation in the end reached agreement with the subdivision owner for the purchase of one acre, including most of the hill, for $50,000. 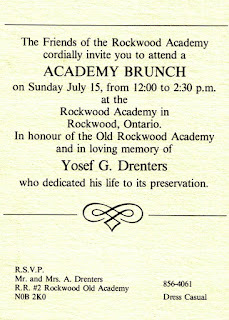 Thirty years ago, in 1986, the OHF acquired the Rockwood Academy. 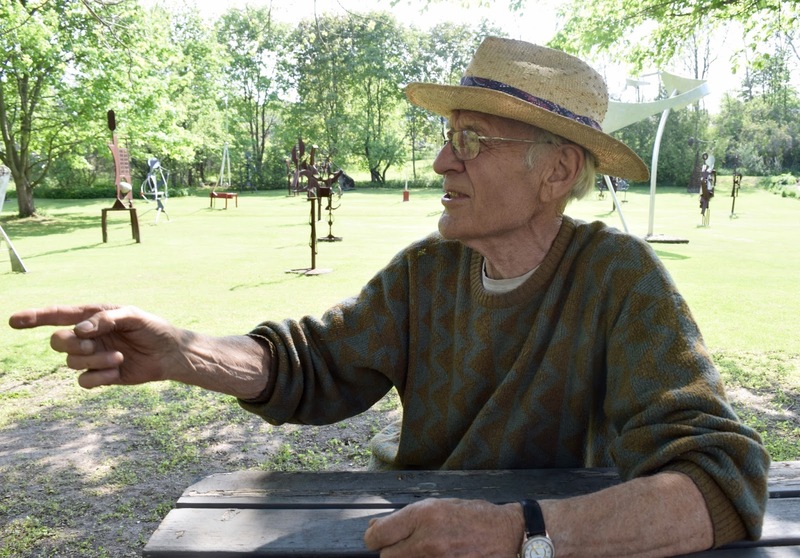 For more than 55 years it has been the home, studio and gallery of two remarkable brothers — Josef Drenters, who restored and enhanced it, and then Andy Drenters, who has been its faithful custodian. The Academy is a magnificent place with a fascinating story… with many chapters left to come.